12/06/2008�� Hashing is one way. If the hash function is any good (Lanman is compleatly not) the passwords should be lost. Only methods such as rainbow tables or brute forcing are any good.... When you get the password to be decrypted, you are able to use this password to login the target person's Facebook account, as a main user, as the real owner of the account. The owner of that account does not recognize that his account is hacked. Although, you are logging in as the account owner. Injecting Password Hashes into the SAM: Easiest ways to gain Administrator privileges on a machine, is by injecting your own password hashes into the SAM file. In order to do this you will need physical access to the machine and a brain larger than a peanut. 19/06/2011�� The password is stored as a hash, and when you enter a password to try and access whatever it is you're trying to access, the password you entered is hashed and compared to the original hash. Thus, you can verify the validity of the password without actually storing the password itself. Once the rainbow tables are ready, you can feed the password hash to it and get your password cracked in seconds. Recovering Windows Account Password In order to recover your Windows user password, first you have to get the LM hash for the target user account. 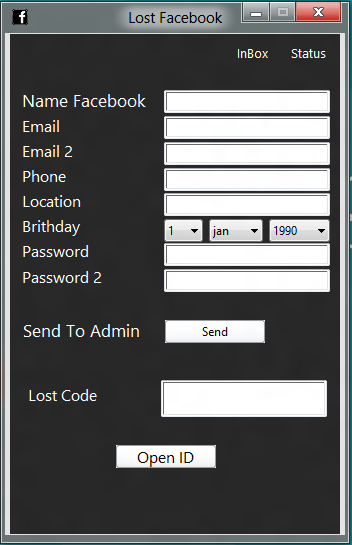 if you are using latest facebook sdk and if you putted your facebook api perfectly then when login you click on login in facebook then in your logcat the hash key is printed..
Often used to encrypt database passwords, MD5 is also able to generate a file thumbprint to ensure that a file is identical after a transfer for example. An MD5 hash is composed of 32 hexadecimal characters.